After a sensational year of awards success, Colston Bassett Dairy continues to bring home the prizes. 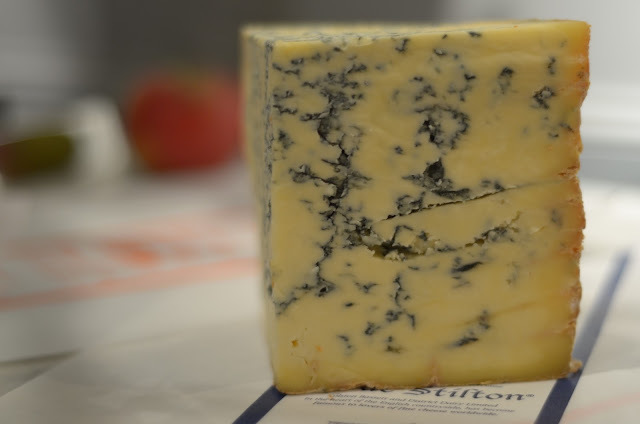 Colston Bassett Stilton has clinched a gold medal at the World Cheese Awards 2015 - held at Birmingham's NEC. The World Cheese Awards is the largest cheese competition on the planet and the judging process is a rigorous one. This year's awards took place on Thursday 26th November at the BBC Good Food Show Winter. Throughout the day 2,727 cheeses, from all over the world, were judged by 250 experts, who worked in teams of four to identify which cheeses would receive medals. Colston Bassett Dairy has scooped many prestigious accolades for their Stilton and Shropshire Blue Cheeses. Earlier this year, Colston Bassett Stilton was named Reserve Champion (UK) and Best Stilton at the International Cheese Awards 2015. Rightfully proving its title of 'King of Cheeses', Colston Bassett Stilton also received two stars at this year's Great Taste Awards. Colston Bassett Dairy has been creating outstanding cheese since 1913. Creamy in texture and smooth and mellow in flavour, Colston Bassett Stilton is renowned for its great taste and quality. Consistent awards success is not a matter of luck. Colston Bassett Dairy carefully make their cheeses, by hand, to an exceptional standard – every time.